Private investigator Kinsey Millhone confronts her darkest and most disturbing case in this #1 New York Times bestseller from Sue Grafton. In 1979, four teenage boys from an elite private school sexually assault a fourteen-year-old classmate--and film the attack. Not long after, the tape goes missing and the suspected thief, a fellow classmate, is murdered. In the investigation that follows, one boy turns state's evidence and two of his peers are convicted. But the ringleader escapes without a trace. 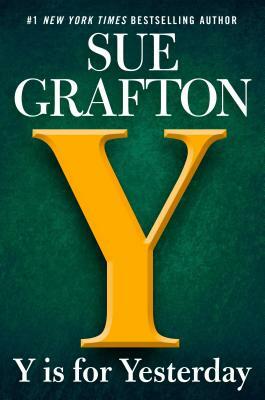 #1 New York Times bestselling author Sue Grafton first introduced Kinsey Millhone in the Alphabet Series in 1982. Soon after, both writer and heroine became icons and international bestsellers. Ms. Grafton was a writer who consistently broke the bonds of genre while never writing the same book twice. Named a Grand Master by the Mystery Writers of America, her awards and honors included the Lifetime Achievement Award from the Private Eye Writers of America, the Ross Macdonald Literary Award, the Cartier Diamond Dagger Award from Britain's Crime Writers' Association, the Lifetime Achievement Award from Malice Domestic, a Lifetime Achievement Award from Bouchercon, three Shamus Awards, and three Anthony Awards--including the first two ever awarded. She passed away in December 2017.